Matt was a month shy of turning 14-years-old when he recorded this CD. The brilliance of the CD proclaims Matt’s rocketing maturation in composition, versatility and technique. 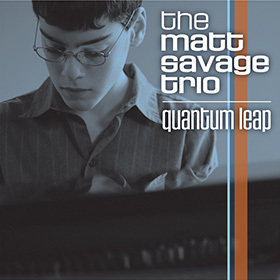 Quantum Leap contains many of Matt’s impressive original compositions, such as “Curacao,” “Blues in 33/8” and the ASCAP-winning ballad “Serenity.” However, Matt also puts his personal mark on such standards as “All The Things You Are” (Jerome Kern and Oscar Hammerstein II), “Monk’s Dream” (Thelonious Monk) and others. His solo piano rendition of Thad Jones’ ballad “A Child is Born” is both soulful and passionate. Now that the Trio has become a well-seasoned musical entity, all three musicians showcase their individual styles and talents. Quantum Leap is essentially a “coming out” party for Matt. By including on the album odd-time-signature tunes, upbeat showstoppers, haunting and memorable ballads, hot Latin-based rhythms, down-and-out blues, standards and even a solo piano tune, Matt shows his ability to play anything and everything and make it his own. 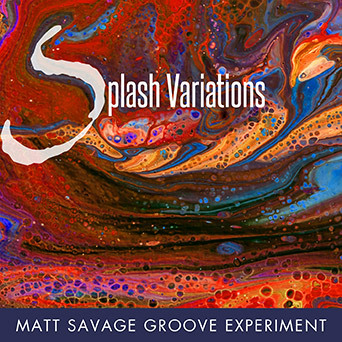 Matt continues to amaze listeners with the complex melodies and harmonies of his original compositions while branding his own style onto jazz standards. 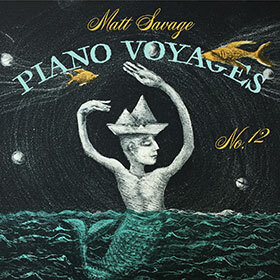 The Matt Savage Trio is on a new playing field now… where genius and joy make a quantum leap.